He observes that the aggregate US stock market has suffered very few sizeable annual losses (which Spitznagel defines as “20% or more”). 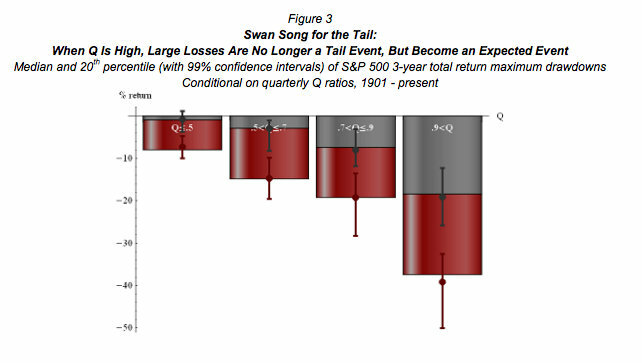 Extreme stock market losses are by definition “tail events” as Figure 1 demonstrates. Equity q ratios over 0.9 lead to some very ugly results. So where are we now? I’ll discuss it later this week.